Photobucket Print Shop offers a wide range of cheap banners printed to your specifications! 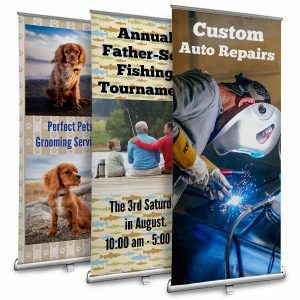 Design marketing and party banners in a matter of minutes with our custom banner maker. Whether it’s for business or pleasure, we have just the right photo banner for you! 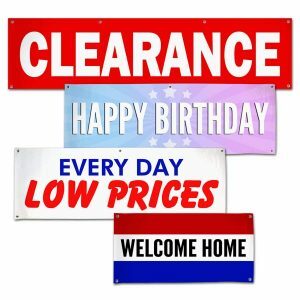 If you’re planning a birthday bash, anniversary celebration, or homecoming party, Photobucket Print Shop offer a wide range of banners for any festive occasion. From outdoor banners to classic paper party banners, you can design your own with a personal twist. Using your favorite photos, you can liven up any birthday bash, bridal shower, and more by incorporating them into the party décor. Speaking of parties, there’s no time to celebrate like graduation! With graduation right around the corner, it’s time to start thinking about party decorations and announcements. Nothing livens up the festivities like a party banner. Print Shop offers a wide range of banner sizes and materials that are perfect for display at virtually any event. Gather your grad’s favorite photos from senior year and create a graduation party banner that’s full of personality. You can add their senior portrait, or upload a series of their most cherished snapshots with friends to complete the layout. We also offer personalized text, and a wide range of backgrounds to fit the occasion. 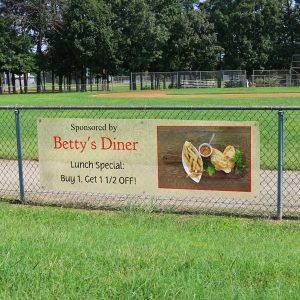 Vinyl banners are ideal for businesses and advertising since you can display them outdoors to grab the attention of potential customers. Our outdoor banners are available in a range of styles and sizes that can be tailored to your exact specifications. Create your own advertising artwork or use our builder to add digital pictures and text to create an eye-catching banner that is sure to grab the attention of passerby. Perfect for business advertisements or formal events, our roll up banners can be custom designed with your own photos and personalized text. Create your own full size artwork or build your own layout using our project builder. We have a large variety of backgrounds to select from that are perfect for various occasions. Design one for your wedding venue with your best engagement photo or upload a photo of your restaurant’s best entrée and use it to lure hungry customers through your door. Our standing banners include an easy to assemble, collapsible stand, making them a snap to set up in minutes. You can create your own with photos, text, and your own background pattern or color to compliment the occasion. 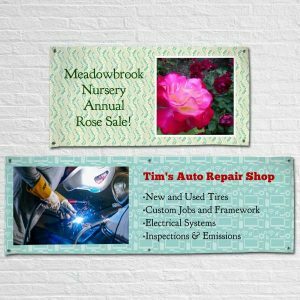 Design a graduation banner for your son or daughter using their best senior picture or make one for a sale at your business to get extra foot traffic through your door. 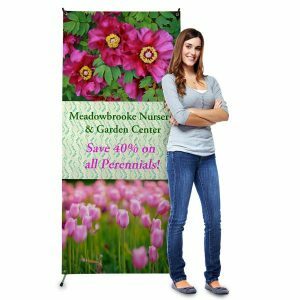 Stand up photo banners are great for trade shows, outdoor concerts, conventions, and more! Looking for a classic personalized banner? Create grommet vinyl banners at Photobucket Print Shop thatcan be designed for any occasion. They’re great for anniversaries, birthdays or any type of celebration throughout the year. They each include grommets around the edges so they are easy to hang and display at any venue. Have yours custom designed in minutes using our project builder and have it conveniently delivered right to your door for your upcoming event! Maybe you’re looking for a stock banner that you don’t need to design. We offer dozens of stock banners for businesses, parties, advertising and more! Order a welcome back banner for a friend’s homecoming. Or, check out our Now Open banners for your new business! Our vinyl stock banners are pre-printed and shipped directly to your door for any event or occasion! Need to create a custom birthday banner? Maybe you want to design a baby banner for your best friend’s shower. Our paper banners are perfect for adding color and personality to your party décor! Upload a favorite photo for that personalized touch and choose from our wide range of party banner templates to compliment the celebration. Whether it’s for business advertising or decorating a party, our photo banners are guaranteed to fit the bill. Gather your favorite photos and design a unique banner that grabs everyone’s attention instantly. You don’t have to use just photos though. 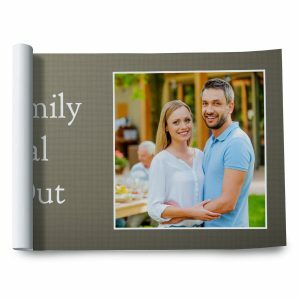 You can create one personalized with photos and artwork or order one of our ready-made banners that ship directly to your door. We offer many styles that can displayed indoors or outdoors, hanging from a wall or standing upright outside. When you need to make a statement, Print Shop Lab is your customized banner destination!